Iron in its various forms is one of the most persistent and troublesome challenges in water treatment. Ferrous Iron, also called clear water iron. This is actually ferrous bicarbonate. The water is clear when drawn but becomes cloudy when it comes in contact with air (or another oxidizer). When air oxidizes the ferrous iron, it becomes ferric iron. Ferric Iron, or red water iron. Ferric iron is actually ferric hydroxide. Ferric iron is visible in water and gives it a rust color. 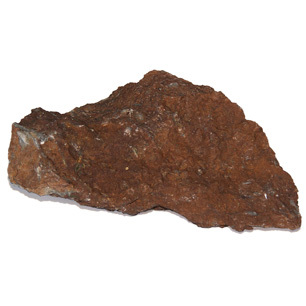 Heme Iron, or organic iron. Heme iron is organically bound iron complexed with decomposed vegetation called tannins or lignins which give it a weak tea or coffee color. Each of these can exist alone or in combination with other forms. Another iron issue is so-called “colloidal iron,” which refers to iron that exists in extremely small particles that, because of their electrical charge, do not clump together to make them filterable. Colloidal iron often appears as a persistent yellow/orange color that will not settle out of the water. Complete removal may require addition of an agent such as alum to cause clumping together of small partricles to a filterable size. Often final filtration down to one micron is required. Certain bacteria feed on iron as an energy source. They oxidize the ferrous iron to its ferric state and deposit it in a slime gel with which they surround themselves. These bacteria grow in stringy clumps and are found in some but not all waters that bear ferrous iron. Iron is typically regarded as an aesthetic rather than a health issue. In general, if it is present at a level of 0.3 parts per million or more it will create problems with residential or industrial water. Ferric iron cannot be removed by a water softener, but it can be removed readily by filtration—even with a simple wound string filter, although backwashing filters are most commonly used because iron stops up conventional sediment filters quickly unless the amount is very small.